The Sonic movie has once again sped into sight. We’ve had the strange possible leak for the blue blur’s design, but now we’ve got reactions from people who have seen actual footage. Like, actual actual footage. Featuring possibly the weirdest choice of music ever, and Jim Carrey (as Robotnik) being back to his 1990s form, here’s what people made of the first teaser at CinemaCon which, unfortunately, hasn’t been yet released to the public. Boo! Who’d have thunk it? Jim Carrey, the gloriously OTT comedic actor who had his heyday in the mid-to-late ‘90s, is back in the spotlight in a big way playing… Sonic’s Big Bad, Robotnik. Remarkably, it seems to work. He even arrived on stage at CinemaCon and introduced his own character trailer which, as you’ll see down below, had some, let’s just say, interesting music. Still, the madcap buffoonery of Carrey seems to gel well with Robotnik’s lovable villainy. Thank you for the music... I guess? I’m going to let this one talk for itself. Two words: Gangster’s Paradise. Yep. I wish I was making this up. So, how does Sonic drop into a real-world setting? Quite literally by the sounds of it, as he’s going to be framed as some sort of being from outer space and not some sort of experiment gone badly, badly wrong. He’s also naked. And taller than you might have expected. I’m not sure which is creepier. Enough playing around, Paramount. We’ve seen the memes, the oddly-disturbing Sonic stare, and now whispers about Robotnik (crucially, not being called Eggman in this as far as we know) chewing the scenery at every available opportunity. Now all that’s left is for us to see the trailer(s). Pretty please? 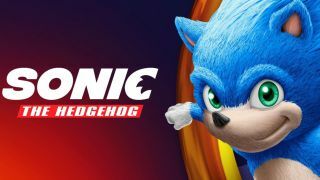 Does the thought of a Sonic movie not have you speeding down to the cinema in anticipation? How about these other upcoming video game movies?